Message from the MARAC Outreach Committee: 2014 Archives Month – "History is All Around Us"
American Archives Month is intended to raise public awareness about the importance of historic documents and records. To celebrate Archives Month in the MARAC region, the Steering Committee designated the month of October for activities to raise awareness and to publicize the importance of archives. Although member states and institutions may promote their own themes, MARAC encourages all members and member institutions in October 2014 to consider the role of archives and archivists in raising awareness about the pervasiveness of history—and the archival repositories that house historical records and artifacts—in everyday life. For more in-depth information about Archives Month, please see our website (http://www.marac.info/archives-month-2014) for suggestions and ideas. Do you have other innovative outreach ideas? Consider sharing them with your colleagues via outlets such as the MARAC Blog (http://marac-blog.blogspot.com/). Or, to submit Archives Month events for inclusion on this page, please contact the MARAC Outreach Committee at marac.outreach@gmail.com. Located in northern Ocean County, the Township of Brick was created on 15 February 1850 by the New Jersey State Legislature in the same act that created the County of Ocean from the County of Monmouth. Starting at the Township’s founding, the official acts and meetings of the Township Committee were recorded in three Meeting Minute Books which span 1850 to 1931 (Volume 1: March 1850 to February 1890; Volume 2: March 1890 to December 1915; and Volume 3: January 1916 to December 1931). The three volumes serve today as irreplaceable records of the Township Committee’s activities from its founding onward. They also document a number of important events in the community’s history during this period, including the Civil War, municipal elections, changes in the organizational structure of the municipal government, the secession of five sections of the original community to form new municipalities, and the introduction of utilities such as electricity and telephone service. In 1975, officials of the Township of Brick arranged for a private vendor to microfilm the three volumes. This costly project was intended to ensure the longevity of the books’ content by creating backup copies in an alternate format. However, it caused some unforeseen problems in the process. The original books were dismantled to facilitate microfilming, then re-assembled using plastic Velo-style bindings that involved drilling holes through the pages. By 2012 these plastic bindings had broken, leaving many text pages loose and in danger of being lost. The covers were detached or loose, and the books were difficult to handle safely. In addition, the 1975 microfilm images were no longer readable. Nearly forty years after the initial preservation effort, drawing on advancements in the field and the benefits of hindsight, in the spring of 2012 the Township Clerk’s Office decided to have the three Township Committee Meeting Minute Books digitally imaged and conserved. The digital imaging was performed by the New Jersey Division of Archives and Records Management (now Records Management Services) and their contracted vendor. After the digital imaging was completed, the Township arranged for conservation of the books with the Conservation Center for Art and Historic Artifacts (CCAHA), a nonprofit conservation center located in Philadelphia and specializing in the treatment of works of art and artifacts on paper. First, CCAHA staff disbound the text blocks by either dismantling what remained of the plastic bindings (Volumes 1 and 3) or by releasing the cover (Volume 2). Surface dirt was cleaned from the leaves as needed with natural rubber sponges and a solid white vinyl eraser. Volume 3 proved to be the most involved of the three Minute Books. Numerous pages of resolutions, ordinances, and other records were found attached to the text pages with pressure-sensitive tape. This tape was removed with a heated spatula, and the adhesive residue was reduced using a crepe eraser. The crepe eraser was dipped in ethanol when lifting adhesive residue from particularly fragile areas of the paper. In all three volumes, major leaf tears were mended and losses bridged with mulberry paper and wheat starch paste. Mends extending into areas of text in Volume 3 were adhered with hydroxypropylcellulose in ethanol, a non-aqueous adhesive, to avoid disturbing the water-sensitive media. The volumes were adhesive bound with PVAc (polyvinyl acetate, a high quality white glue). New alkaline machine-made paper end sheets were added to each text block. The spines of the volumes were lined with layers of mulberry paper, cotton textile, and/or machine-made paper, laid down with PVAc. The text blocks were placed in dark brown Canapetta cloth cases with computer-generated spine labels printed on alkaline paper. The three Township Committee Meeting Minute Books are among the most historically and legally valuable documents in the Township of Brick’s possession. CCAHA’s expert repair and conservation of these documents has greatly extended their life and helped to ensure that the documents will be usable for many future generations to come. About the Authors – Bryan J. Dickerson is the Township Archivist for the Township of Brick. Amber Hares is one of the CCAHA Conservation Assistants who conserved and rebound the Township Committee Meeting Minute Books. Help us improve our meetings! Is there something about our meeting model that drives you crazy? Do you have some wild idea you would like to see MARAC try? Now is your chance to let it all out. Don’t be shy, your idea may be the next great thing for our organization! It is clear from the conference evaluations that MARAC members find the meetings useful and enjoyable, but that there is always room for improvement. Many commenters have suggested trying different types of session formats and lengths, creating more networking opportunities, encouraging greater participation, etc. The task force would like to get feedback from the membership about what you want from the meetings and ideas on how to improve them. Please give this some thought and feel free to share your thoughts in the comments or send an email to task force chair Susan Kline at susan.m.kline@gmail.com If you are attending the Baltimore meeting, task force members would be happy to talk with you. Members will also learn more about the task force at the town hall and business meetings. The Metropolitan Museum of Art announces the availability for research of the Robert Lehman Papers, 97 linear feet of archival material related to the collecting of art by financier Robert Lehman (1891-1969) and his father, Philip (1861-1947). Over the course of sixty years, first Philip and then Robert assembled a collection of thousands of artworks with scholarly knowledge, astute connoisseurship, and skillful negotiation of the art market. Spanning seven hundred years of western European art, from the fourteenth to the twentieth centuries, the works include paintings, drawings, manuscript illumination, sculpture, glass, textiles, antique frames, maiolica, enamels, and precious jeweled objects. Upon Robert Lehman’s death in 1969, he bequeathed 2,600 works to the Metropolitan Museum with the stipulation that they be exhibited as a private collection, reflecting his belief that “important works of art, privately owned, should be beyond one’s own private enjoyment and [that] the public at large should be afforded some means of seeing them.” The Robert Lehman Wing, erected to display the collection, opened to the public in 1975. The Robert Lehman Papers document the acquisition and cultivation of this magnificent art collection by Philip and Robert Lehman, and include correspondence with galleries, dealers, advisers and museums, invoices, insurance records, object descriptions and inventories. Prominent individuals represented in the papers include art dealers and consultants such as F. Kleinberger, Harry S. Sperling, and Charles Durand-Ruel, as well as art historians Bernard Berenson, R. Langton Douglas, and Max Friedländer. The papers also include photographs and memorabilia regarding the Lehman family, Robert’s military service and travel. This material offers a wealth of historical information that will advance research on one of the finest private collections ever assembled in North America, and that will support scholarship in other arts and humanities disciplines. A comprehensive finding aid to the papers is available here: http://libmma.org/digital_files/archives/Robert_Lehman_papers_b1848688.pdf. Processing of the Robert Lehman Papers was supported by a generous grant from the Robert Lehman Foundation. For information about access to the physical materials at The Metropolitan Museum of Art, please email lehmanpapers@metmuseum.org. For information regarding the Robert Lehman Collection and the Robert Lehman Wing visit http://www.metmuseum.org/about-the-museum/museum-departments/curatorial-departments/the-robert-lehman-collection. Here is a sampling of some of the big things going on in Maryland (presented alphabetically by institution). Columbia Archives is continuing its exhibit series Creating Columbia – 50 Years Ago Today. Columbia Maryland will celebrate its 50th birthday in 2017 but the history of Columbia began in 1962 with the first land purchase. Creating Columbia – 50 Years Ago Today is chronicling the events leading up to the June 21,1967 date that marks the beginning of Columbia. The November 11, 2014 opening of the third in the exhibit series corresponds to the presentation of the Columbia Plan on November 11, 1964. In addition to the exhibit a three session lecture series will be offered in February. Columbia Archives accessioned 15 linear feet of James Rouse correspondence from 1986-1996 relating to Enterprise Foundation. This donation from Enterprise Community Partners fills in missing dates in the James Rouse Manuscript Collection. Marian Currens, a University of Maryland MLS student, is interning for the fall semester. Her main project is to input data into DB/Textworks database enabling faster searching and easier access to materials that have been separated from records collections. In addition she will be assisting with outreach projects and other varied tasks that arise in a small community archives. 2014 was the bicentennial year for the British invasion of Maryland during the War of 1812. There were activities across the state culminating in a “Star Spangled Spectacular” in Baltimore on the weekend of September 13-14. A number of libraries and archives across the state participated with special programming. At the University of Maryland, the focus was on Bladensburg, the site near our campus of the catastrophic battle that led to the capture of Washington DC in August 1814. Our major exhibition in Hornbake Library for the 2014-2015 academic year is “Beyond the Battle: Bladensburg Rediscovered,” which examines the often overlooked town that was the site of the famous battle. This exhibit was accompanied by a symposium on October 11, 2014: “Beyond the Battle: Bladensburg’s History in Context.” Both the exhibit and symposium are the culmination of a multi-year project by local historians to recover lost narratives and reinterpret an historic place. Albin O. Kuhn Library at UMBC Awarded $23,000 Grant! The National Historical Publications and Records Commission (NHPRC) has awarded a 16-month, $23,000 grant to the Albin O. Kuhn Library & Gallery at the University of Maryland, Baltimore County (UMBC) for the creation of collection level records for all archival collections and the implementation of an Encoded Archival Description (EAD-XML) compliant workflow. Chief Curator Tom Beck, Archivist Lindsey Loeper, and Catalog Librarian Vicki Sipe will review, revise, and create collection level records and finding aids for the archival collections maintained by the Special Collections department in the Library. Collections will include the University Archives, the Center for Biological Sciences Archives, and local history collections including the new folklife collections donated by the Maryland State Arts Council and Maryland Traditions. The descriptive records will be mapped for reuse in multiple access systems including the Library Catalog, UMBC’s Digital Collections, and the Special Collections Search. The EAD-XML formatted finding aids will comply with national standards and may be harvested for access through union catalogs such as OCLC’s ArchiveGrid and the National Library of Medicine’s History of Medicine Finding Aids Consortium. The main goal of this project is to increase access to UMBC’s unique archival collections and to reach the researchers, scholars, students and community members that are seeking the high research value materials held at UMBC. University Archivist Anne Turkos and Assistant University Archivist Jason Speck are also preparing to repeat their semester-long course on UMD history, which they taught for the first time in spring 2014. In addition the Archives staff is close to completing the arrangement and description of 444 document boxes housing the presidential files of Harry Clifton Byrd, who served as UMD president from 1935 to 1954, and is preparing the first segment of the photo morgue accessioned from the Diamondback, the primary student newspaper on campus, for digitization and addition to the Archives’ online image repository, University AlbUM. The Washington, D.C. Punk and Indie Fanzine Collection (DCPIFC) documents the variety of publications that were created by fans of and participants in the punk and indie music scenes that have thrived in the Washington, D.C.-area since the late 1970s. The DCPIFC contains fanzines – publications produced by enthusiasts, generally in small runs – created by members of the D.C. punk and indie music communities, as well as fanzines from outside of D.C. that include coverage of D.C. punk and indie music. The collection includes primarily paper fanzines like Who Cares, Bikini Kill, and Descenes, but it also includes born digital fanzines and digitized files of some paper fanzine materials. Founded with donations from some D.C.-area musicians and journalists, the DCPIFC was enhanced by an approach that saw SCPA utilize social media to reach music fans who still had copies of older fanzines in their collections. The efforts were successful and the collection has grown steadily since its introduction in early 2014. Over the summer, Special Collections & Archives at the U.S. 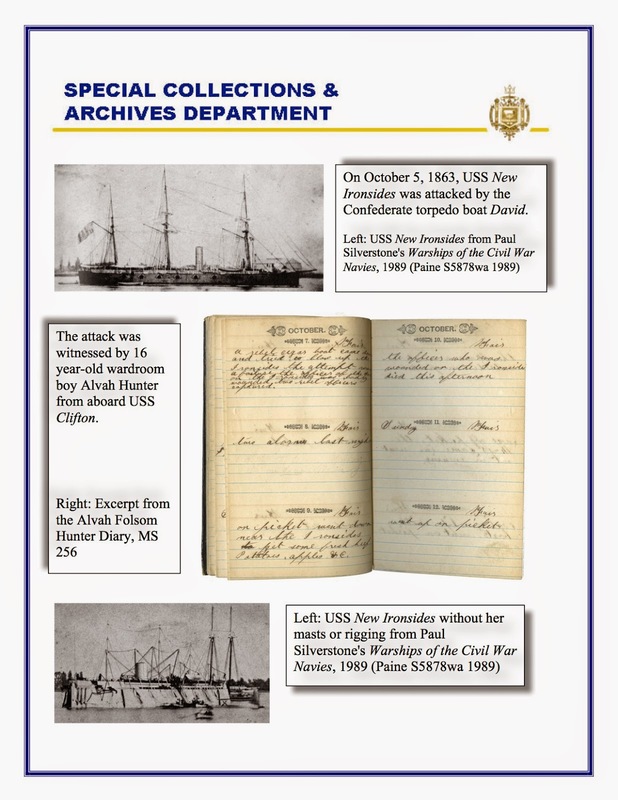 Naval Academy completed a large finding aid conversion project, which converted all of our legacy print finding aids and html guides to EAD. 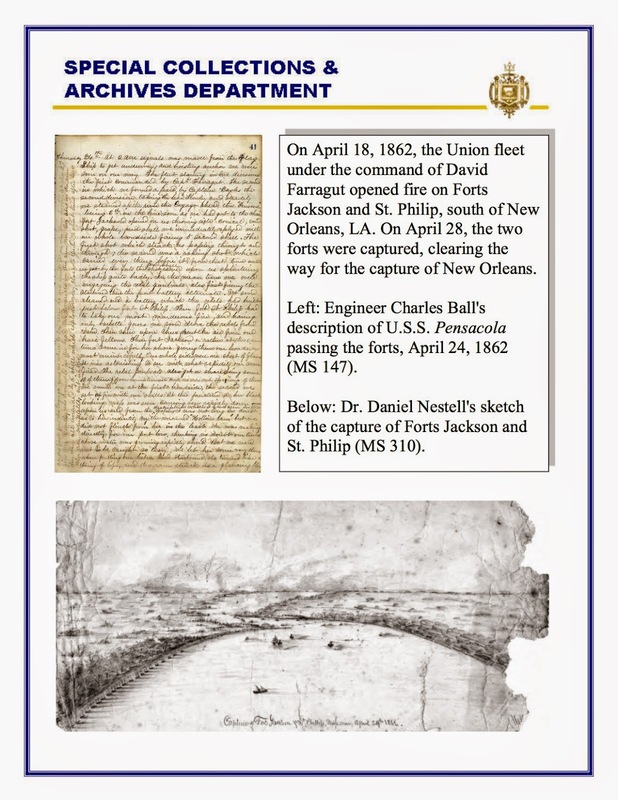 We now have over 225 EAD manuscript collection finding aids online, available through our department website (http://www.usna.edu/Library/sca/Manuscript%20Collections.php) and through our digital collections on CONTENTdm (http://cdm16099.contentdm.oclc.org/cdm/search/collection/p16099coll5). Message from the MARAC Chair: Important News! As you may know, at the Summer Steering Committee meeting, the Ad Hoc Committee for the Revision of MARAC’s Governing Documents was established by the Steering Committee. This Ad Hoc committee picked up where the “Committee on Committees” left off, looking at ways to streamline the way MARAC conducts its business. Recommendations proposed by the Committee on Committees that did not require a vote by the MARAC Membership were approved by the Steering Committee in Fall 2013 and Spring 2014. After additional discussion by the Steering Committee, it was determined that a wholesale revision of MARAC’s Governing Documents was a more efficient approach to making the necessary changes to MARAC’s way of doing business. This will allow for the membership to vote on the adoption of a new set of Governing Documents, rather than a piecemeal approach of several votes on individual amendments to the MARAC Constitution and Bylaws. I encourage all MARAC members who are registered for the Fall 2014 Meeting in Baltimore to attend the MARAC Town Hall on Friday afternoon from 4:00pm to 5:30pm to make sure that your voice is heard on this important change that is being proposed for MARAC. Please note, that if you are not registered for the meeting – but would like to attend the Town Hall meeting – you may do so, without registering for the meeting. Please send your name to the MARAC Administrator, Tammy Hoffman, at administrator@marac.info, and she will log your name and you may check in at the registration table to receive a pass to attend the meeting. The Ad Hoc Committee was charged with undertaking a wholesale revision of MARAC’s Constitution and Bylaws and to create one Governing Document (MARAC Bylaws) and applying appropriate parliamentary procedure to the new document (Roberts Rules of Order, Newly Revised) to reflect our standing as a modern, professional organization, and to incorporate those changes already approved by the Steering Committee into the new document. The draft that will be discussed by the membership at the Town Hall Meeting is the result of outstanding work by the Ad Hoc Committee, chaired by past MARAC Chair Lisa Mangiafico, and members Jim Gerencser, Amy Schindler, David D’Onfrio, and Andrew Cassidy-Amstutz, along with MARAC Parliamentarian, Dawn Fairchild. I am deeply grateful for their dedication to this essential work on moving MARAC forward. In revising the MARAC Constitution and Bylaws, a decision was made to blend the informality present in the current MARAC Governing Documents with the formal parliamentary language that exists in the parliamentary language found in the formality of bylaws, and also did not repeat language that already exists in the MARAC Articles of Incorporation. While copies will be available at the Town Hall Meeting, please review the draft MARAC Governing Document and the associated chart, which details the specific changes to the current documents and gives a rationale for the proposed change, prior to the Town Hall Meeting. Members of the Ad Hoc Committee and the MARAC leadership will be available throughout the Fall Conference as well as during the Town Hall Meeting for questions. Following the Town Hall meeting, a survey will be sent to the MARAC membership asking for additional feedback, over an above any feedback received at the Town Hall Meeting, for those who are unable to attend the Town Hall Meeting. A new draft of the MARAC Governing Documents will be submitted to Steering for discussion at the Winter Steering Committee meeting and subsequently discussed by the membership at the Spring 2015 meeting and the new MARAC Governing Documents will be submitted for a vote by the membership in Summer 2015. If adopted, the documents will be effective July 1, 2016. A new Ad Hoc Committee on Transitioning to the New Governing Documents will be established in Summer 2015. I look forward to hearing from the MARAC Membership on these great changes coming to MARAC – your voice is important and we can only be successful with the support of the membership at large. Please feel free to contact me at legloaj@gmail.com if you have any additional questions or concerns and are unable to join us at the Fall Conference. • James J. Rorimer records: James J. Rorimer (1905-1966) joined The Metropolitan Museum of Art in 1927 as Assistant in the Department of Decorative Arts, then rose through the curatorial ranks leading to his 1938 appointment as Curator of Medieval Art and The Cloisters. Rorimer left the Museum in 1943 to join the United States Army, and served in Europe as Lieutenant, Captain, and later as Chief of the Monuments, Fine Arts and Archives Section of the Seventh Army. After the war, Rorimer returned to the Metropolitan as Director of The Cloisters and Curator of Medieval Art (1949-1955), and Director of the Museum (1955-1966). The records document mainly his time as Museum Director, and include correspondence with institutions, organizations, donors, and trustees, clippings and documentation of special exhibitions and notable acquisitions, and information on the Museum’s Fifth Avenue and Cloisters buildings. • Theodore Rousseau records: Theodore Rousseau (1912-1973) served in the U.S. Navy during World War II and in the Art Looting Investigation Unit of the Office of Strategic Services before being appointed Associate Curator of Paintings at The Metropolitan Museum of Art in 1947. He was named Curator in 1948 and Chairman of the Department of European Paintings in 1967, and was elected Vice Director of the Museum and appointed as its Curator-in-Chief in 1968. The records include correspondence related to curatorial matters, acquisitions, and deaccessioning, as well as clippings, articles, and photographs of works of art. They also include documents from his long professional involvement with the International Council of Museums, drafts and final versions of his professional writings and lecture presentations. • Office of the Registrar records: The Office of the Registrar was established at The Metropolitan Museum of Art in January 1906. The records document acquisitions and loans of artworks, and related collection management activity, from the late 19th century through 1996, with an emphasis on the years 1906-1969. For information about access to the physical materials at The Metropolitan Museum of Art Archives, contact archives@metmuseum.orgor visit our website at http://libmma.org/portal/museum-archives/.